A report I share each month on the progress of my portfolio of stocks and mutual funds with reasons of each and every stock that I own along with contract notes of trades executed in the current month and share plan for the coming month. Note: This is not my complete portfolio in the market and I may have open trading positions as well as some previous investments prior to Jan 2016 and other riskier small and micro cap investments. The plan for October was to keep away from investing in stocks and focus only on tax saving option. As planned, I invested in DSPBR Tax Saver fund. I selected DSPBR Tax Saver Fund for tax savings this year. 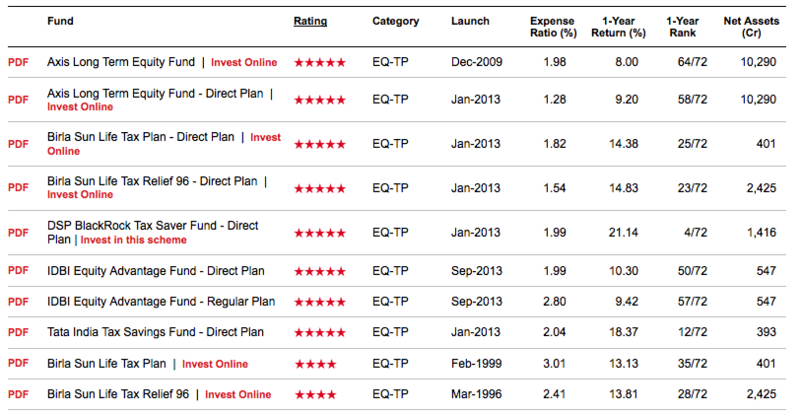 The process I followed to select the fund was to choose from all 5 star rated funds at ValueResearchOnline and go with the fund that has midcap as benchmark Index. Whereas DSPBR Tax Saving has benchmark Nifty 500 which in my opinion will outperform BSE 100 / BSE 200 and Sensex for the next 3 years or so. I have invested 30k (Transaction details) as of now and have plans to continue at the current rate for 5 months. As always I selected the dividend option so I get full tax saving benefit and get back dividend that I can deploy into stocks. My portfolio is very biased towards Pidilite Industries but I have no intention to rebalance it anytime soon and will let it remain as it is for the next few months. As investment increases, the balance will naturally establish itself. On top of that Pidilite is more of a safe bet in my portfolio and I don’t expect it to outperform other investments. So it can make portfolio automatically balance itself. The day Jubilant Foodworks announced it results, it was down almost 15% in two days. I am still positive on this stock because the result was in line with my expectation. My expectation was the company is trying to increase market share with promotional offers and they have managed to achieve it. An increase in YoY sale by 14%. Stock trading at 70PE means market expectation has to be an increase in profit and profit margins all the time. It did not happen and so stock was hammered. According to me 900 to 1000 is accumulation zone for this stock but if less than expected profit margins with an increase in sales hammer the stock price in next quarterly results as well, we may get a good entry in the stock at much cheaper valuations. It will be a great learning experience if I am proved wrong in JFL. Increase in investment from ₹13,53,094 to ₹13,83,094. An increase of ₹30,000 in the month of October. Let’s see the performance of the portfolio I have so far. Stocks that I hold in my portfolio along with the link to why I have invested in them. 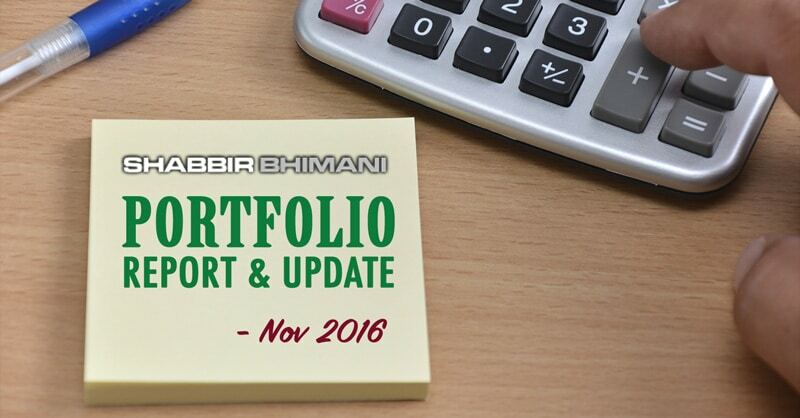 October 2016 – portfolio crosses a magical figure of 15 lakhs. I wanted to keep a month of not investing in stock and though October was the wrong choice of the month because there was a goodish bit of correction in some of the stocks I wanted to invest, I am proud to remain organized. I am sure the temptations of October will come through in November and I am up for it. I am still undecided on Larsen & Toubro as it is under 2% of my overall portfolio and I am not able to add more position at current levels. Have plans to book profit in L&T in November.